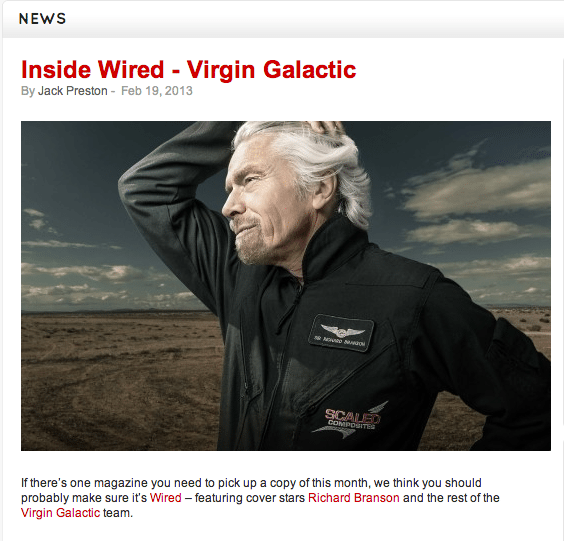 Spaceport News: Informed Consent Bill Passes & Virgin Gets WIRED! We loved all the GREAT Spaceport news that rolled in this week! Read Dan Mayfield’s article at Albuquerque Business First. Meanwhile, over on the Virgin blog, some gorgeous “preview” photos of Virgin Galactic’s key players shot at Spaceport America were featured. See the preview on Virgin’s blog – then look for WIRED’s March 2013 issue to see more.